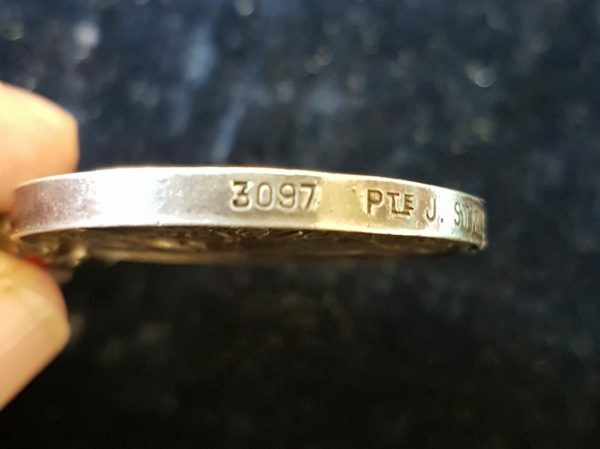 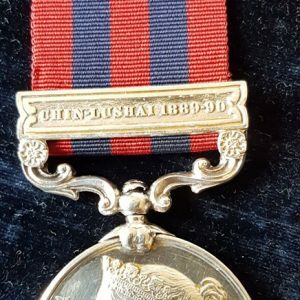 Scots Guards Queen’s South Africa Medal. 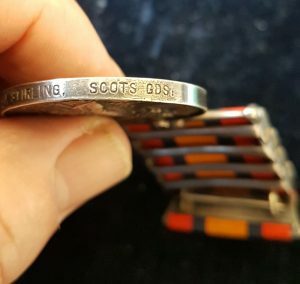 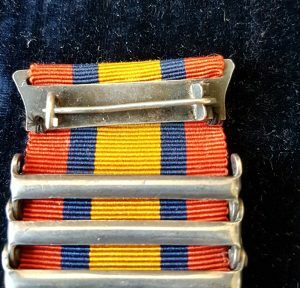 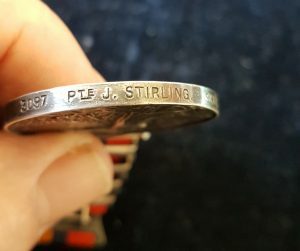 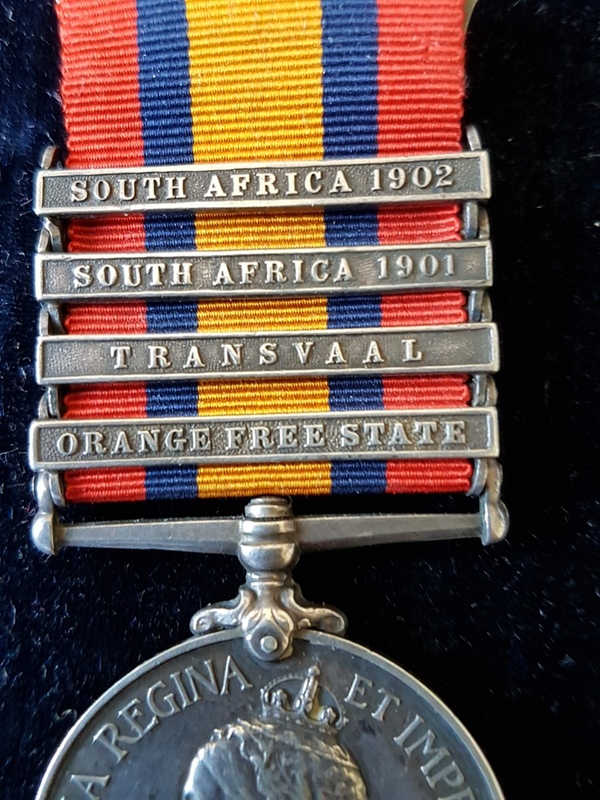 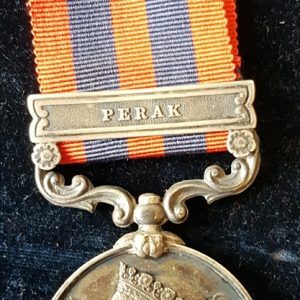 Second Anglo Boer War – , QSA medal with Orange Free State, Transvaal, South Africa 01 and South Africa 02 Clasps named to: 3097 PTE J STIRLING SCOTS GDS . James Stirling was born in Preston, Lancashire. 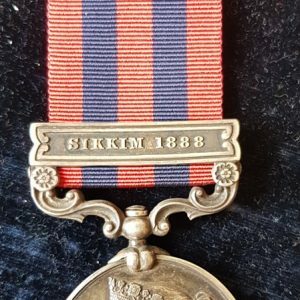 He was a 20 year old butcher when he attested into the Scots Guards in 1899. 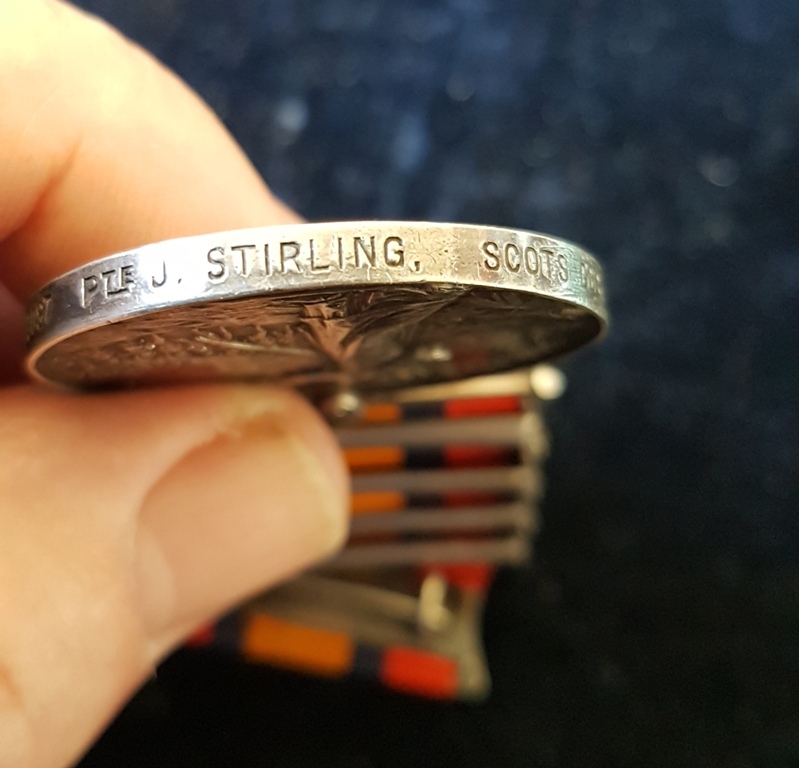 He served a total of 12 years. The medal has a pin to the rear, please see photos.